Where can you stream The Fairly OddParents? On 2001-03-30 Animation/Comedy TV Series The Fairly OddParents first aired on Nickelodeon. 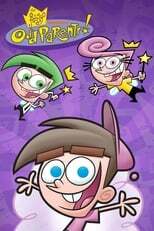 Written and created by Butch Hartman, and produced by Billionfold & Frederator Studios, The Fairly OddParents has ended and last broadcasted on 2017-07-26.